Familiarise yourself with the likes of the Peaky Blinders of Birmingham and now the world, you don't want to get on the wrong side of this family. Living a life of violence, deception, money and of course whisky, head of the family Tommy Shelby won't be stopped by anybody. 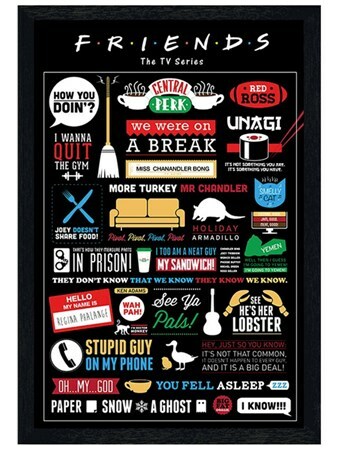 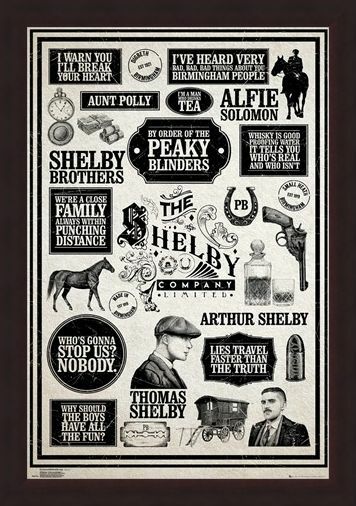 This distressed style infographic poster straight from the 1900's features some of the famous quotes spoken by these wrong'uns, chilling enough to give you a lump in your throat. 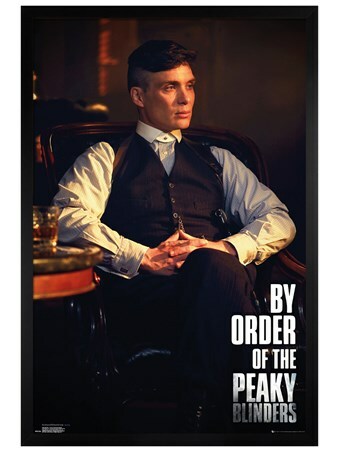 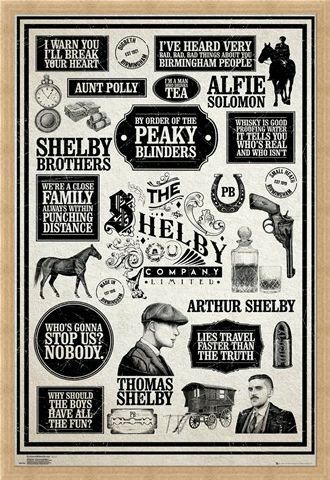 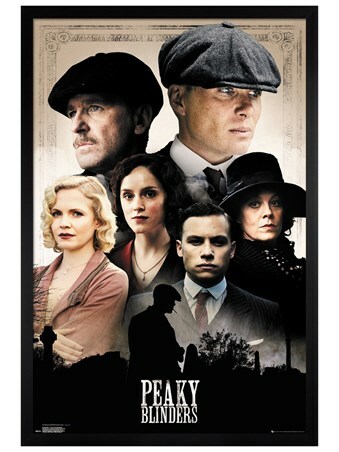 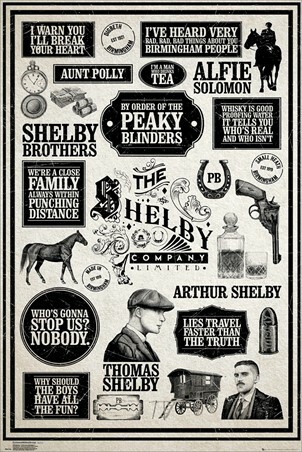 "By order of the Peaky Blinder", this poster needs to have a spot in your bedroom immediately! 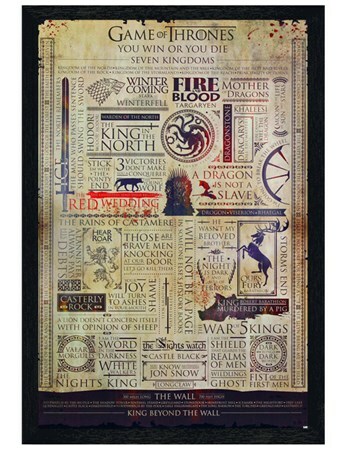 High quality, framed Infographic, Peaky Blinders poster with a bespoke frame by our custom framing service.